The Americans are starting to catch on how extremely corrupt the British financial services industry and especially the city of London is. Reformed violent gangsters of the criminal underworld, who later tried to make big money in stocks & shares, have remarked how they were shocked at the nature of the white collar criminals in the city of London. Recent Headlines showing the level of corruption in the city of London. British bank Barclays Plc agreed to pay a $453 million fine to settle a U.S.- British probe into the rigging of the benchmark interest rate known as the London interbank offered rate, or Libor. This systemic financial corruption in not confined the city of London, UK business is also full of financially corrupt For example - Rangers fc go out of business, owing the tax payers nearly a �1oo million, yet some so called UK business man buys the remnanants of the old club, including the players and land, the so called good bits, for a few million? The land and stadium alone were worth far more. Under a less corrupt nations system of law, the land and players all would have been sold off at value off to meet debts. 13:35 Hewlett-Packard has alleged that a UK company it bought for $10 billion last year ''misrepresented'' its finances. British bankers in general & the British banking system are corrupt. When these corrupt British banks were found out, their managers claimed (as per usual) it was just accounting errors, oversights. We need some journalists to investigate the city of Londons' role in the Irish banking collapse, especially any role with the Anglo Irish bank, which was the main source of Ireland's banking problems. Especially when you consider what was reported last year by some proud British money washer. Peer of the Realm, has unwittingly provided proof that the Bank Of England and City of London stock exchange, will act as extensions of the UK political state. "I have had one of the biggest experiences in the laundering of terrorist money and funny money that anyone has had in the City. I have handled billions of pounds of terrorist money." Labour peer Baroness Hollis of Heigham asked: "Where did it go to?" Lord James, a respected corporate troubleshooter, replied: "Not into my pocket. My biggest terrorist client was the IRA and I am pleased to say that I managed to write off more than �1billion of its money. "I have also had extensive connections with north African terrorists, but that was of a far nastier nature, and I do not want to talk about that because it is still a security issue. I hasten to add that it is no good getting the police in, because I shall immediately call the Bank of England as my defence witness, given that it put me in to deal with these problems." 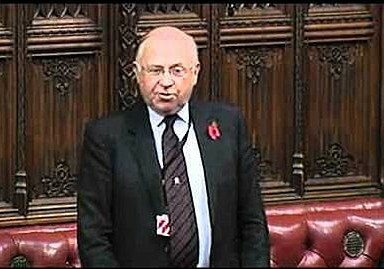 However Lord James said today that he had not intended to imply he had done anything improper. He told technology and business website ZDNet UK that he had been brought into five companies between 1989 and 1997/98 at the direction of the Bank of England. Lord James' express instructions were to run the companies down and liquidise the assets as they had been identified as conduits for IRA funds. "The IRA had five companies completely ruined. They had built the companies up as pensions funds. "I'm a money washer, not a money launderer," he said. If this is any example of what the Bank of England can get up to. Targeting and destroying any business at the UK states behest and hearsay - without producing any evidence or fair trial. We must not doubt that the UK state itself used the city of London to make billions targeting Ireland bonds. Their banks were bust, so they robbed Irish banks. The attorneys general of New York and Connecticut have issued subpoenas to seven banks over the possible manipulation of a global interest rate. Orders were issued, mostly last month and this month, to Barclays, Citigroup, Deutsche Bank, JPMorgan Chase, HSBC, Royal Bank of Scotland and UBS, the person said. The person spoke on condition of anonymity because the person was not authorised to discuss the matter publicly. US and UK regulators have already fined Barclays $453m for submitting false information between 2005 and 2009 to keep the interest rate, known as Libor, low. Libor, short for London interbank offered rate, is used to set the interest rates on trillions of dollars in contracts around the world, including mortgages and credit cards. It is a self-policing system and relies on information that global banks submit to a British banking authority. The New York and Connecticut attorneys general issued the subpoenas because Libor is also used to determine the rates for the bonds issued by city and county governments, the person with knowledge of the matter said. Barclays has admitted that it submitted figures that were lower than accurate for its interbank borrowing, including during the financial crisis in the fall of 2008. Those reports made it appear that Barclays was healthier than it was.